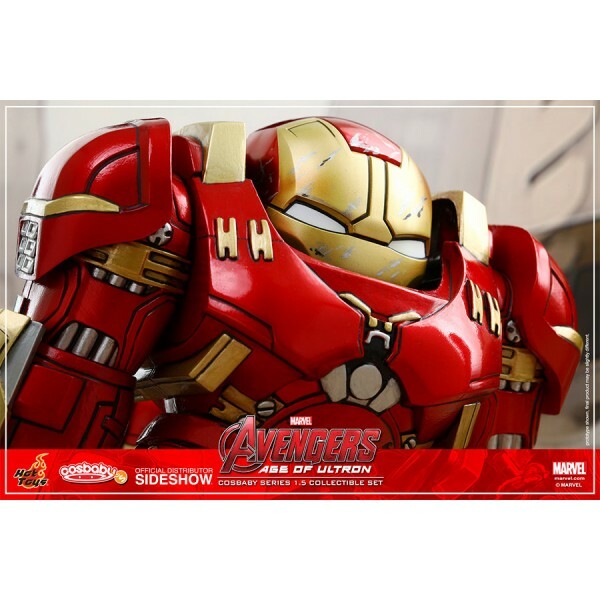 Sideshow Collectibles and Hot Toys are excited to introduce new exciting collectibles based on the blockbuster Marvel film Avengers: Age of Ultron! 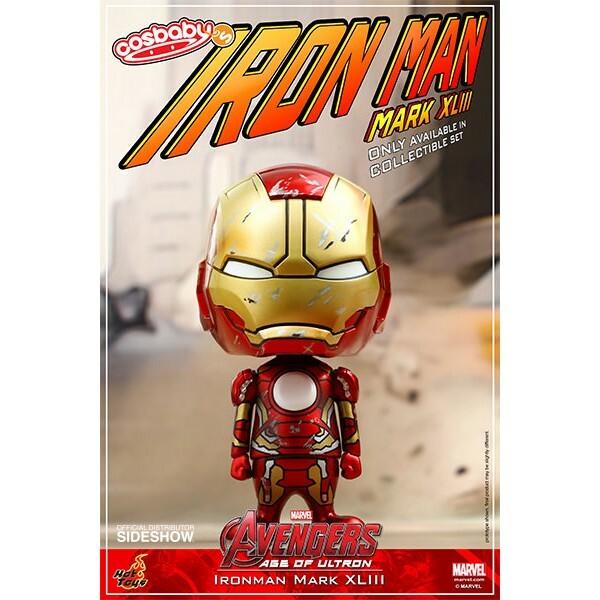 Capturing fans' attention since its official release is the Cosbaby series from Avengers: Age of Ultron! 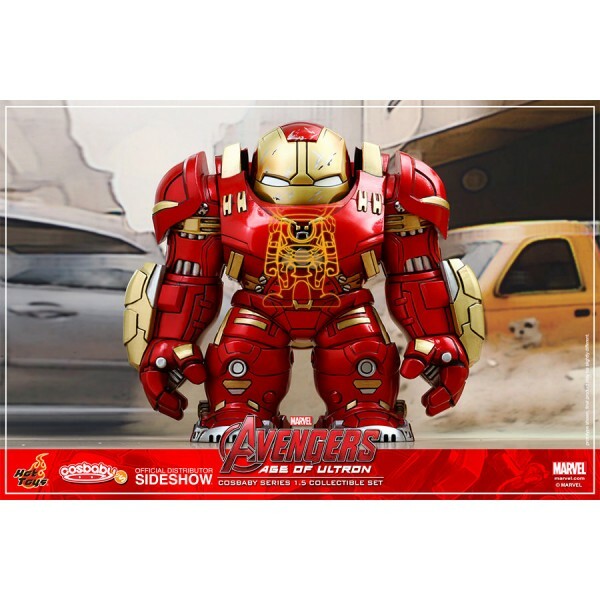 These cute characters have won the hearts of fans of all ages. 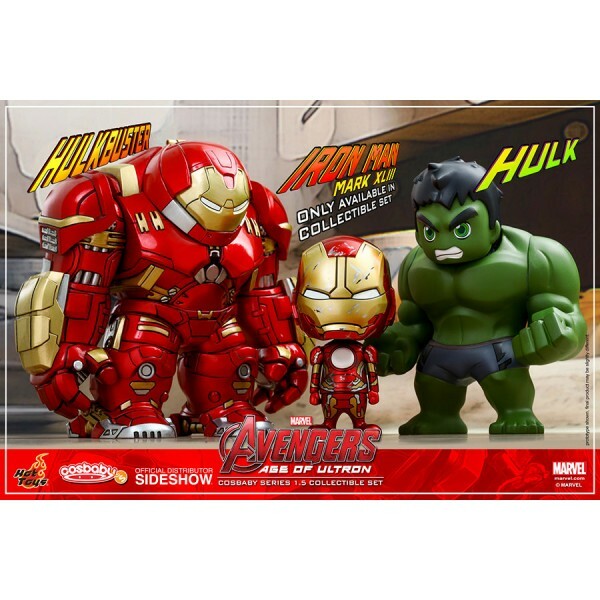 We are delighted to continue the line and officially present the Avengers: Age of Ultron Cosbaby Series 1.5 which features the Hulkbuster and Hulk. 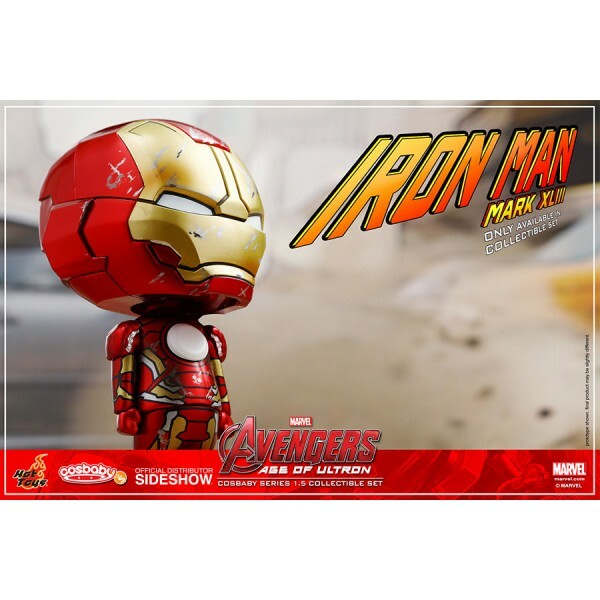 A special box set of 3 is also available which exclusively includes the Mark XLIII (Battle Damaged Version)! The Hulkbuster and the Hulk both stand approximately 14 cm tall and the Mark XLIII (Battle Damaged Version) is approximately 9.5 cm tall. 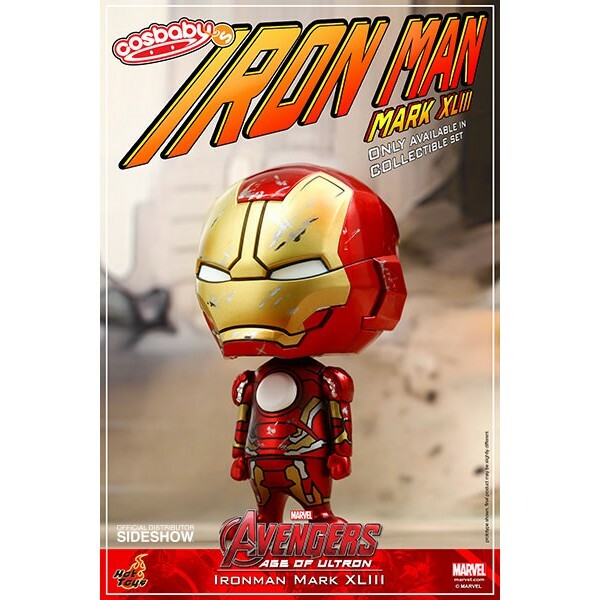 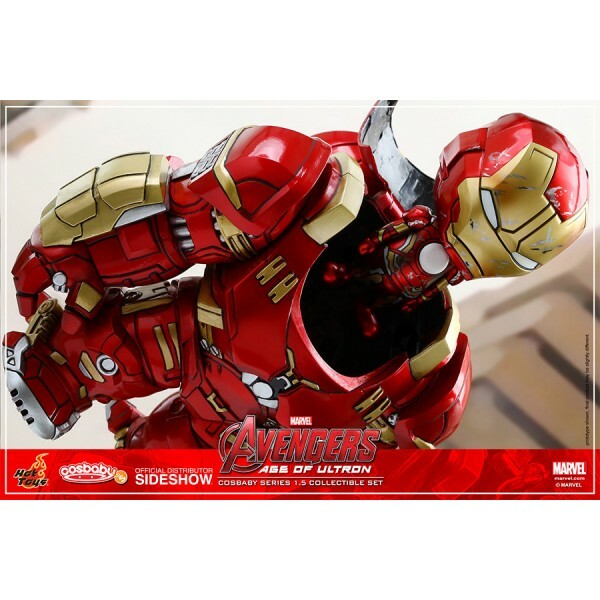 A special feature for the Hulkbuster is that the helmet can be opened up to put in a Mark XLIII or Mark XLIII (Battle Damaged Version) Cosbaby! 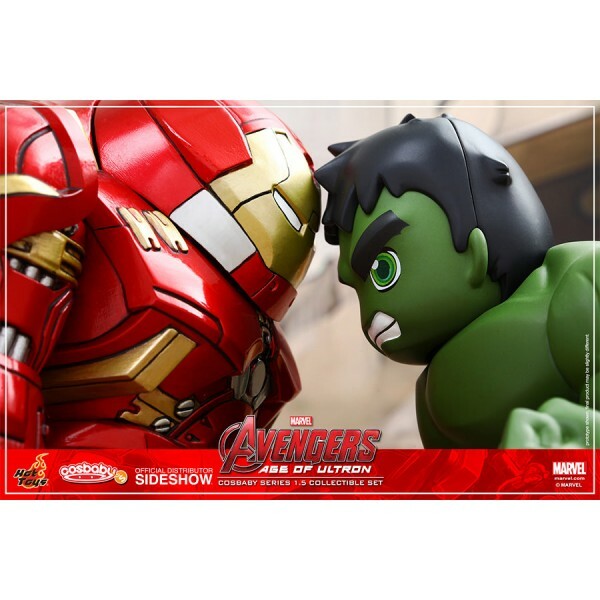 Avengers fans, don’t miss the chance to add these cutely designed Cosbabies to your collection.